Irene and fellow friend and tile industry visual maven, Arpi Nalbandian, will share wisdom about how to incorporate Instagram into a marketing plan during Coverings17. In anticipation of those sessions, I caught up with Irene to learn more. C.B. : Irene, tell us about yourself and your background. IW: I’m a digital marketing, public relations, and social media specialist with a focus on national brands. I’ve spent most of my career agency-side, representing clients in the tile, flooring, and interior products industries. With a core talent for writing and a business-driven interest in technology, it was natural for me to become an early adopter of social media for marketing and PR programs. My largest client is U.S. tile manufacturer Crossville, Inc.; I manage the PR and social media for the brand. C.B. : How did you get immersed in tile? IW: I landed my first tile manufacturing client in late 1997. That was Tilecera, based in Clarksville, Tennessee and owned by a Bangkok conglomerate. Eventually that company was bought by the Florim group of Italy, and I continued to represent what became Florim USA for many years. I’ve also worked with companies such as TEC, wedi, Louisville Tile Distributors, Mannington, so many brands in the tile and flooring industries! When it comes to the tile biz, once you’re in—you’re in. C.B. : You’re participating in a BYTE session at Coverings on Instagram. Share some highlights of the session. IW: In 15 short minutes, I and my dear friend and colleague Arpi Nalbandian will share practical tips for those wanting to turn Instagram into a customer connection tool: how to incorporate Instagram into an overall marketing program, what apps make posting more manageable, how great photos and captions with the right hashtags can attract target audiences, best practices for engagement and tracking success. And we promise to leave time to take questions! C.B. : So, what do you love about Instagram? IW: Personally, Instagram is my preferred social platform because I’m following accounts that fill my feed with interesting, funny, inspiring, pretty imagery from across the globe and around the corner. I’m able to curate my Instagram to be pleasant and informative, making it an escape of sorts. Professionally, Instagram is great for design-driven brands for which a picture really is worth a thousand words. For well over a year now, I’m seeing the fastest follower growth and the most vibrant engagement on Instagram. C.B. : What don’t you like? IW: Instagram is owned by Facebook, so we’re seeing a gradual “Facebookification” of the platform. Most notably—and annoyingly in my opinion, they introduced algorithms that dictate what posts you see in your feed. I’d much prefer to see everything from everyone I follow in the moment it’s posted. C.B. : Do you have several Instagram accounts? IW: My Instagram accounts are many! That’s mainly because I manage the accounts of my clients, but I do maintain a few of my own. In addition to my personal account, I have @TileTuesday. @TileTuesday is more than an outlet for my love of tile; I use it as a laboratory to learn how to attract followers within very specific market segments. I’m at more than 33,000 followers at this writing; it’s a blast creating ways to connect with so many fellow tile lovers! It’s so important for every brand to have a unique “voice”—a personality that’s developed and well established across all marketing communications, advertising, and social media. When brand identities are already in place, it’s rather intuitive to keep various Instagram accounts distinct. C.B. : How have you grown your following on Instagram? IW: Including the right hashtags in all captions is at the top of my audience growth strategy, with the sharing of consistently beautiful and/or interesting images as a very close second. I post consistently, “like” others’ posts, and engage often. C.B. : How much time do you spend on Instagram per day/week and how do you organize your time? IW: There’s no off button for Instagram or any social platforms! I check my various accounts frequently—even on weekends and non-biz hours—to track activity and engage with audiences. Importantly, I use a digital tool that lets me schedule posts in advance, so I don’t have to post only in the moment; that provides lots of freedom and makes things more manageable for sure. C.B. 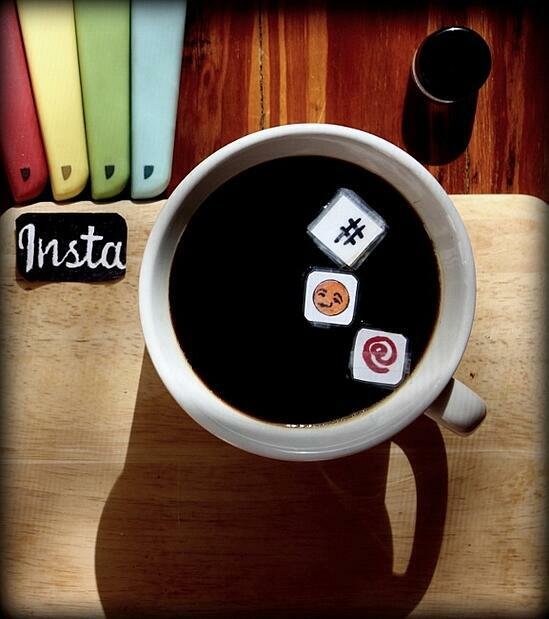 : What are some of your favorite Instagram tools or apps? IW: I use IFTTT (If This Then That) to cross-post from Instagram to other social platforms, and Schedugram is the post scheduling tool that has made things so much more manageable. C.B. : How has Instagram changed over the past few years and what’s ahead? IW: There’s been more “Facebook" infiltrating Instagram. Specifically, the platform uses algorithms to determine what we see in our feeds, and they introduced business accounts that are kin to Facebook business pages. With business accounts on both platforms, you can coordinate advertising and promotions and track activity and engagement. In addition to more Facebook in Instagram, we’re seeing more Snapchat-like features, as well, namely Stories and live video posting (clips disappear when the broadcast is done, unless you save to camera roll). They’ve also added the capability to post multiple images that are viewable in one post by swiping left. Next, I’m bracing for the introduction of those cartoon-like filters that are wildly popular on Snapchat which have just been introduced to Facebook. C.B. : What advice do you have for tile industry people just getting started with Instagram? IW: Identify the reasons you want to use Instagram for business and define your goals. Then, follow, observe, and engage with the brands you love and the people you hope to connect with. You can glean lots of ideas from accounts that you see are doing it right. C.B. : Irene, what's the best way to reach you? IW: I’m on lnstagram, of course! Follow @sybilirene for puns and pictures of my dogs, @tiletuesday for the love of tile, and @beofgoodchair for eye candy for the seating obsessed. Visit the contact page on msg2mkt.com to send me a direct message. Are you ready to learn more about how to incorporate Instagram into your marketing plan? Be sure to attend the Coverings17 BYTE session and have your questions for Irene and Arpi ready! You can count on valuable insights and stunning tile images.